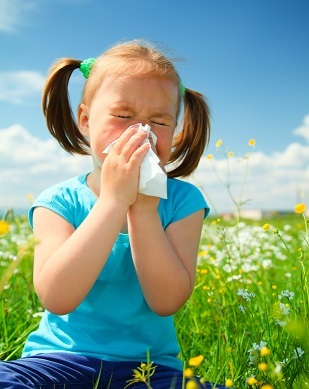 Allergies are by far the most common chronic diseases among children in the United States. Approximately 1 in 5 people in this country suffer from allergies. Allergies are reactions that are usually caused by an overactive immune system. Normally, it is the immune system that protects the body against disease by searching out and destroying foreign invaders, such as viruses and bacteria. When there is an allergic reaction, the immune system overreacts to a normally harmless substance, such as pollen or animal dander. Although allergies can develop at any age, they most commonly show up during childhood. If you think your child may have allergies, please discuss it with your Children’s Medical Group physician at your next visit.